It’s the middle of March. The roster is thinning down, and the team’s performance is moving up. As Opening Day nears, the pitchers especially are the players to watch. Wins and losses means nothing in Spring Training, when regulars routinely don’t complete games, but a game is a game, and you can watch a pitcher’s motion and see how comfortable he is with certain pitches and certain situations. Also pay attention to defense and injury in the field. These things won’t necessarily predict our performance this year, but at least we’ll be able to tell how ready this year’s team is to face the music when the season starts. Honestly, I have to say, it looks pretty good. Nava is surely going to win a spot on the bench now that he’s proven himself at first, where he’s seen playing time this spring. Drew has been out with a concussion that he sustained after getting hit by a pitch. Papi started running the bases a bit but, due to soreness in his right foot derived from his Achilles injury, he’s had to take it easy as well. While he’s sat out, Farrell’s been rotating the DH spot. Unfortunately, he may very well start the season on the disabled list. So will Breslow, due to problems with his left shoulder, and Morales, due to problems with his lower back. Napoli actually saw action in consecutive days and managed to survive, which was a very good sign. Aceves returned to camp after Team Mexico was eliminated from the World Baseball Classic. Fortunately, he wasn’t injured in the significant brawl that broke out between Team Mexico and Team Canada when the former got upset because the latter bunted with the game practically won already. Team Mexico didn’t know about the Classic’s tiebreakers, which use run differential, and thought it was bad form. So several Canadian players ganged up on Aceves and dragged him to the ground. Like I said, we’re pretty lucky he wasn’t injured. Victorino will also be heading back to camp now that Team USA is out. Steven Wright, the knuckleballer who may not be, since he’s having some trouble getting a handle on the pitch, got cut along with Deven Marrero, Drake Britton, Justin Henry, Alex Hassan, Mark Hamilton, Jeremy Hazelbaker, Juan Carlos Linares, Pedro Beato, Rubby De La Rosa, Allen Webster, Christian Velazquez, Daniel Butler, and Alex Wilson. Ryan Westmoreland, once considered one of our best farmboys, is retiring. We traded cash to Baltimore for Mike Flacco, who plays first base. Yes, he’s the brother of Joe Flacco. Yaz made his annual visit to camp, making the rounds with current Sox and former teammates. Now let’s talk action. We beat the Rays on March 4, 5-1. 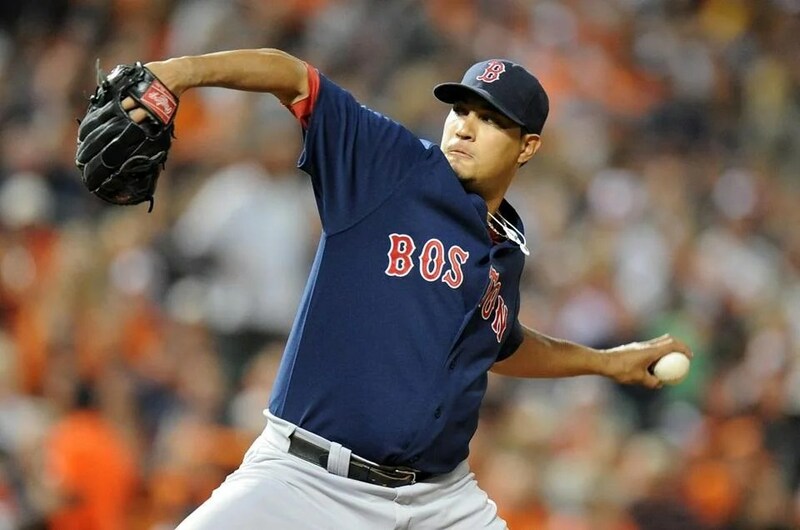 Doubront made his debut and tossed 1.2 shutout innings including a hit, two walks, and two K’s. Carpenter also tossed a shutout frame to end the game. Iglesias went two for two with two doubles; Salty also had a double to his credit, and Overbay tripled. We were back in action Wednesday opposite the Pirates, who beat us, 9-3. On the bright side, Lester looked especially sharp; he hurled four comforting and relief-inspiring innings, during which he allowed one hit on two runs while walking three and striking out three. I wasn’t a fan of the three walks, but it’s more important that he slowly but steadily lengthens his starts without also augmenting his run total. Wright took the loss and gave up five runs on five hits; Tazawa pitched a shutout inning to end it. Ciriaco went two for four, and Gomes and Salty both doubled. We beat the Twins on Thursday, 12-5. For the first three innings, it was all Buchholz, who dominated with a shutout performance and issued two hits, no walks, and four K’s. Hanrahan delivered a deflating fail of a third of an inning, during which he gave up four runs on four hits, but Bard pitched a shutout inning. Meanwhile, Pedroia and Napoli each collected two hits; Pedroia doubled and Napoli smacked a home run that seemed like he could really get used to the power again. The Twins bested us the next day, though, with a shutout performance. Dempster took the loss and gave up the game’s only two runs. We lost to the O’s on Saturday, 5-2. Doubront gave up two runs on four hits over three innings with a walk and five strikeouts; Hanrahan and Bailey both delivered shutout frames. Salty had himself two hits, and Overbay doubled. We beat the Rays on Sunday, 6-2. Lackey worked three and two-thirds inning and gave up two runs on four hits, one of them a homer, while walking two and striking out two. It doesn’t seem like much, but that start was better than most of the ones we’ve seen from him in recent memory; granted, it doesn’t take much from him at this point to constitute a good sign, but you have to start rebuilding somewhere. Overbay went two for three, and Ross had himself a three-run jack. The Marlins beat us on Monday, 8-7; Lester delivered five beautiful innings, giving up one run on three hits while walking none and striking out four. Carpenter took the blown save and the loss, giving up two runs on two hits en route to recording the game’s last two outs. Salty doubled, and Middlebrooks homered for the first time since getting injured! He looked mighty comfortable doing it, too. Like he could do it again. Repeatedly. We beat the Jays on Tuesday, 5-3. Buchholz kept up his strong performance with four shutout innings during which he issued one K and gave up three hits. Bailey turned in a shutout inning of his own. Nava, Napoli, and Sweeney each had two hits; Napoli, Sweeney, and Middlebrooks each hit doubles. We had Wednesday off and bested the Twins on Thursday, 7-3. 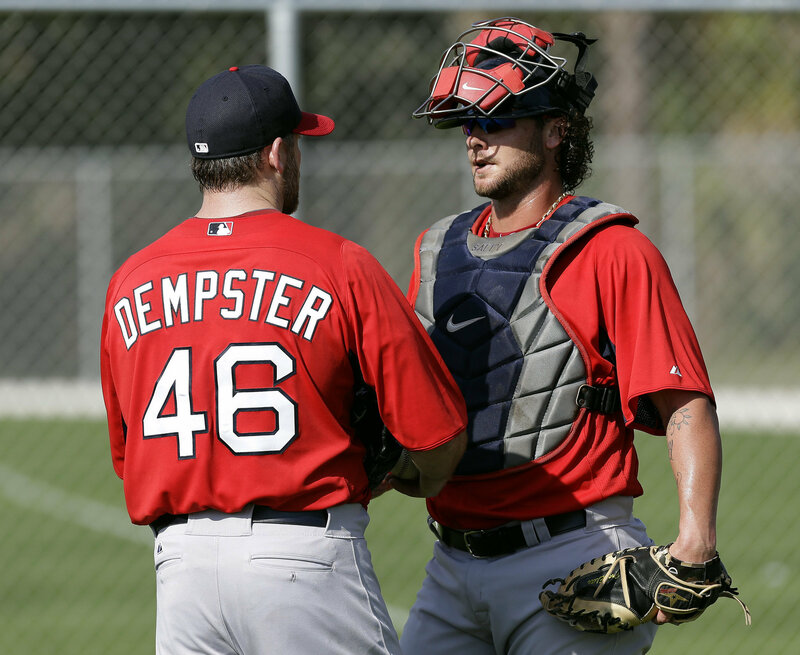 Dempster picked up the win with four innings of one-run, three-hit ball; Bard pitched a shutout inning. 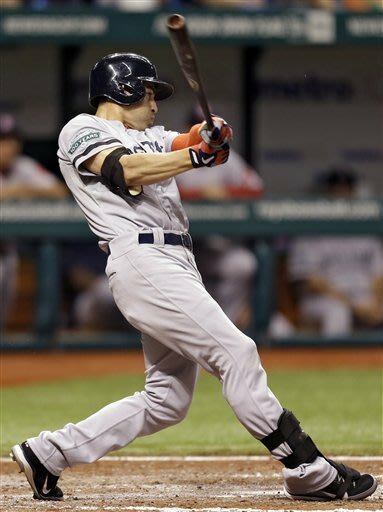 Ellsbury went two for three with a double; Iglesias smacked a double as well. Friday’s game against Baltimore ended in a tie at three after ten; Mortensen started and tossed three shutout innings of two-hit ball, and no one had a multihit game. We crushed Tampa Bay on Saturday, 9-2. Aceves pitched four and one-third innings during which he gave up three runs, two earned, on six hits with one walk and five K’s. Iglesias and Gomez both had two hits; Iglesias tripled, and Gomez doubled. We beat Tampa Bay again yesterday, 5-1, on the shoulders of a literally perfect performance by Lester. Six innings. No runs. No hits. No walks. Six K’s, or an average of one per inning. Even Hanrahan got in the spirit and delivered a shutout inning. It was only Spring Training, but it was a glorious indication of things to come. Expect him to start on Opening Day for sure. Middlebrooks went two for three, and Gomes was perfect at the plate; both doubled. In other news, the Bruins lost to the Caps in sudden death but then beat the Leafs, Flyers, and Sens. We lost to the Penguins and then beat the Panthers and Caps before losing to the Penguins again. Buchholz got shelled during his last start of the season. It wasn’t pretty. It certainly wasn’t a good note on which to end the year for him, especially given how well he’s been pitching lately. It’s a real shame. I would have loved to have decimate the Yankees, and I would have loved to have seen Buchholz play a big part in that, because he’s way better than last night’s line. He only lasted one and two-thirds innings and gave up eight runs on six hits while walking two and striking out two. The weird thing was that his first inning was solid gold; he retired the three batters he faced thanks to a flyout, a groundout, and a strikeout. The second inning, however, was one of the worst innings I have ever seen him pitch, if you can even call it that. His very first pitch of the frame was hit for a solo shot. He got the first out of the inning on a strikeout. And then he gave up a single and two consecutive home runs, the second of which was reviewed but stood as originally called. Then he issued two consecutive walks on a total of sixteen pitches followed by a single, a sac fly that plated a run, and a double that plated two runs. Aceves then replaced him and gave up a two-run home run before giving up a double and finally ending the inning. Aceves had a solid third and pitched around two baserunners in the fourth. Beato took over for the fifth, sixth, and two batters into the seventh. Then it was Miller’s turn, and he finished the seventh. Bailey gave up a single, a groundout that advanced the runner, and another single that scored him. Meanwhile, Nava put us on the board for the first time in the fourth with a solo shot on the second pitch of his at-bat, a ninety-two mile-per-hour sinker that he launched to right center field. We scored our last run in the seventh; Gomez led it off with a walk, moved to second on a wild pitch and third on a groundout by Lavarnway, and scored on a sac fly by Salty. So let me just put this in perspective for you. The final score was an ugly, painful, and humiliating 10-2. The Evil Empire scored all but one of its runs in the second inning alone, all but one of which were credited to Buchholz. So, as I said, Buchholz gave up eight runs, and then Aceves and Bailey gave up one each. That’s how bad Buchholz was. He just didn’t have it. He couldn’t find the strike zone, and when he could, he couldn’t close the deal. It wasn’t that he was issuing a lot of walks; he issued only two. The problem was that he wasn’t throwing strikes, so he was throwing a lot of pitches and getting tired and making mistakes at every turn. We will not be leaving our mark on the baseball season of 2012. Both the Yanks and the Orioles are now officially in the playoffs. We didn’t spoil either team’s postseason potential. The only thing that we could possibly effect now is who wins the division. It’s a sad day when that’s all you’ve got. We lost again. Not by eight runs, fortunately. If you have to lose, it’s always good to lose with dignity. Last night, we lost by only one run. I guess you have to mix it up every once in a while to keep it interesting. Overall, the game was very evenly matched on both sides from the pitching to the hitting. But someone has to come out on top, and yesterday it was Baltimore. Doubront turned in a great effort. He pitched seven innings and gave up four runs, three earned, on seven hits while walking one and striking out ten. He hit a batter in the second who scored two at-bats later on a single. (It could have been worse; Doubront followed that hit batsman with a single, but thanks to a strong throw to third from the newly returned Ellsbury, the potential run turned into an out.) Doubront’s first batter of the fourth reached on an error and was one run in a two-run home run. And then he gave up a solo shot to lead off the seventh. All of the innings during which Doubront didn’t give up runs were very, very solid; he either faced three or four batters in each of them. And Tazawa went one-two-three in the eighth. Meanwhile, we didn’t score until the fifth, but when we did, we did it with a bang. Gomez showed his patience at the plate and worked an eight-pitch walk, and then Salty stepped up to the plate. 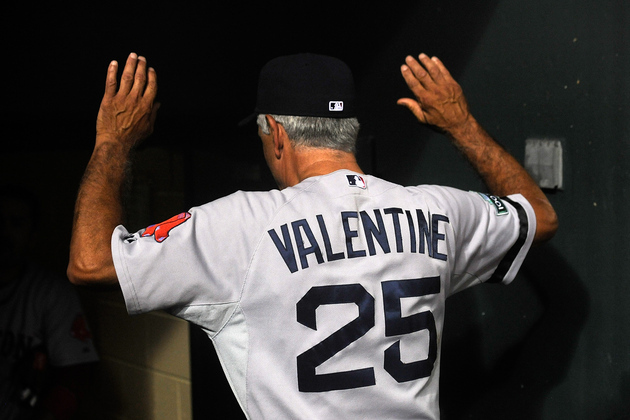 He received two eighty-eight mile-per-hour four seam fastballs. He fouled off the first one. He launched the second one out toward right field for a huge two-run shot. We scored again in the sixth; Ellsbury led off the inning with a single, Podsednik walked, Pedroia put runners at the corners with a force out, and Ross brought Ellsbury home with a sac fly that turned into a single thanks to a fielding error. At that point, we’d tied the game at three. Obviously it wouldn’t stay that way, and we wouldn’t be the ones scoring the winning run. And those were all the runs we scored. So we lost, 4-3. This was Doubront’s last start of the year, and it really can be considered a quality start. I have to say, he did well this year. He showed that he can handle the workload. Well, that’s fun. It’s nice to win the day after you’re statistically eliminated from playoff contention. It’s not like we needed all the wins we could get before that. If I sound bitter and annoyed, it’s because I am. Who wants to be eliminated from the playoffs? Still, I guess if the choice on any given day is winning or losing, I’ll take winning whenever I can get it. Cook pitched a gem. It was a short gem, since I usually picture gems as being great starts that last long, but it was a gem nonetheless. He allowed one run on five hits over six innings while walking one and striking out one. He gave up a single in the first and fourth; his one bad inning was the fifth, but if every single one of our pitchers had a bad inning that looked like this one, we’d be in fantastic shape. With one out and two on, he gave up a sac bunt that scored one. Then we caught a thief in the act, so Cook’s only walk didn’t load the bases. And he ended the inning after that. He went one-two-three in the sixth to finish up. Hill pitched the seventh, Tazawa pitched the eighth, and Melancon pitched the ninth. Melancon allowed the second and final Rays run, so he’s extremely lucky that we had already put ourselves in a position to win. Otherwise that would have been crushing. He gave up a single that could have been a triple thanks to defensive indifference and a wild pitch. And then he gave up a groundout that brought the runner in. Meanwhile, we were being no-hit through five. In fact, if it hadn’t been for Salty’s walk in the second, we would have been the victims of a bid for a perfect game. But as is often the case, when a pitcher pitching that well suddenly falters, the gates open and there is an opportunity to make him pay dearly for having almost humiliated you tremendously. In our case last night, we didn’t exactly go off on a slugging rampage, but we scored enough runs to get the job done. The sixth began innocently enough for the Rays with Podsednik striking out. But then Iglesias got hit and moved to second on a groundout by Ciriaco and then third on a wild pitch. But it turned out that he didn’t need to go all the way around. All he’d had to do was get on base and wait. Because Ellsbury went yard. The count was 3-1, and it was a four-seam fastball. And he was all over it. He sent it beyond the right field fence. And just like that, we had a one-run lead. But it was about to get bigger. Pedroia walked after that, stole second, and moved to third on a passed ball, but Ross ended the inning with a strikeout. Thankfully, we managed to continue our rally in the seventh. We didn’t waste any time, either. Loney singled, Salty walked, and Lavarnway reached on a force attempt combined with a fielding error to load the bases. Gomez pinch-hit for Podsednik and singled in two runs. Nava pinch-ran for Gomez, and he and Lavarnway both moved over on a sac bunt by Iglesias. Ciriaco intentionally walked to reload the bases. And then Ellsbury singled in one more run. And that was the end for us, so the final score was 5-2. Am I annoyed that we couldn’t have done more with the bases loaded? Absolutely. But a win is a win no matter how you get it, and we should at least be thankful for that. We can be thankful for Ellsbury firmly finding his stride at the plate again, even though it’s a little late, and we can be thankful for contributing to keeping the Rays out of October. In our position, we’ve got to find silver linings somewhere. Why couldn’t we have played this way against the Yankees? We did during that first game, our crowning achievement of the series. And, as I said, it all went down hill from there. I would have loved to have snuck at least one more win in there. Then again, if we snuck in one more win every single time we wanted to sneak in one more win, we would not be in our current situation, which is fighting just to get out of the basement with the team we’re currently playing. Dice-K got the nod and, not surprisingly at all, didn’t pitch well. He gave up four runs on three hits while walking three and striking out five over five and one-third innings. It was the third inning that did him in. He began the inning by hitting a batter and walking another. After getting a strikeout, he walked another batter. And then two consecutive wild pitches resulted in two runs plus another walk, and a groundout brought in the final run of the inning. So if you think about it, he allowed those three runs without allowing a single hit. It’s the first time one of our pitchers has done that since the 1970s. He began the sixth with a groundout and then allowed a triple. Mortensen came on and allowed his inherited runner to score on a single. During all of Dice-K’s other innings, though, he was basically solid. He was great. In fact, there were times when he looked dialed-in and on cruise control. But we’ve seen this kind of thing before where his real downfall is not being able to sustain that across all of his innings equally, and you have the one or two or three or more bad innings that determine the fate of his start. Fortunately, he was taken out before he could allow further damage. And it turns out that, between the third and the sixth, we’d been doing some scoring ourselves. Ross led off the fourth with a four-pitch walk, Gomez singled, Lavarnway fouled off a slow fastball for a strike, and then he received almost the exact same pitch in terms of type and speed. But he got of it the second time around. He launched it to left, and it exited the park with ease. One swing. Three runs. Tie game. Then we had the bases loaded with two out in the fifth, and Nava came up. Obviously that situation your default hope is a grand slam, and if not a grand slam then at least some sort of extra-base hit. Nava singled. But it still brought in two more runs, which gave us a two-run lead at the time. Which, by the way, would not have been possible without some fine baserunning by Aviles. Aviles had singled and was the first runner to get on base. He moved to second on a groundout by Ross before Gomez reached on a fielder’s choice. Brett Lawrie thought he could tag Aviles for the out, but in a fine display of athleticism and acumen, Aviles neatly avoided the tag and slid back to the bag. Nice. Then, of course, they scored their run in the sixth, which reduced our lead to one, a lead that Tazawa preserved in the seventh. But Padilla, who came on for the eighth, began the inning with a single-double combination that tied the game at five. It turned out that that run would be the last that the Jays would score. Carpenter replaced Padilla, and all was well in the rest of the eighth. Not so for the Jays in the ninth. Ellsbury led it off with a single, after which the Jays made a pitching change that was not helpful. Aviles flied out, which probably provided some measure of false hope, but then Ross singled, Gomez smacked a bases-clearing triple, and Lavarnway brought him home on a sac fly. Which means, of course, that for once, we won! The final score was 8-5. It feels good to win and to win by a respectable margin at that. So, as I said, Dice-K received a no-decision, Mortensen and Tazawa each got holds, Padilla got a blown save, Carpenter got the win, and Baily got the save for pitching the bottom of the ninth. 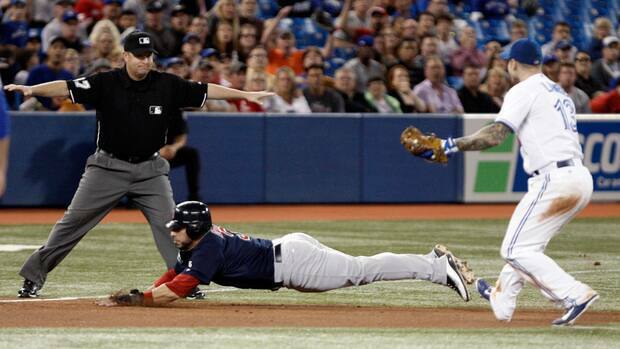 And let’s not forget Nava’s spectacular, Ellsbury-esque diving catch for the first out of the eighth! Adam Lind thought he was about to put his team ahead for good, but Nava read the ball all the way, stayed on it, ran exactly the right distance, dove exactly the right time, and hauled it in. It was an inspired piece of fielding. Between all of that and the fact that we won, it was a great game full of gems.